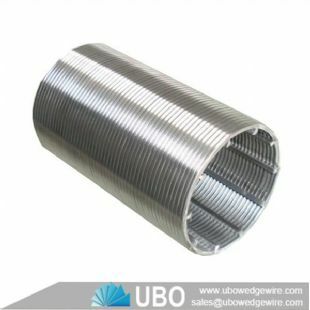 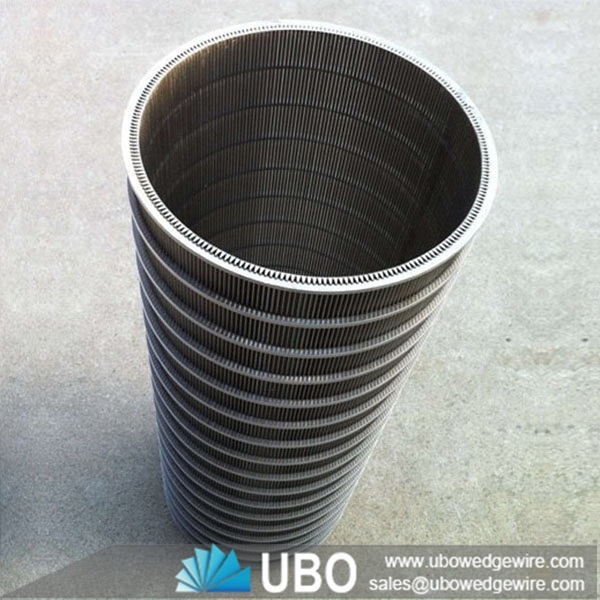 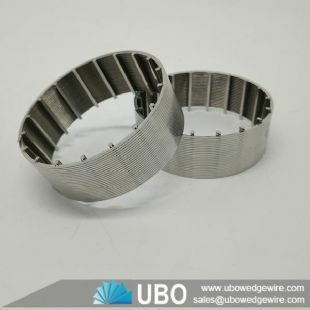 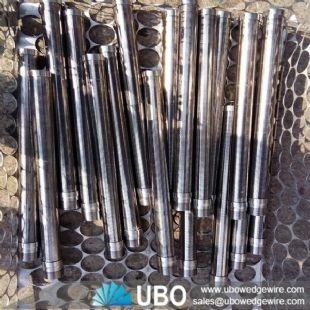 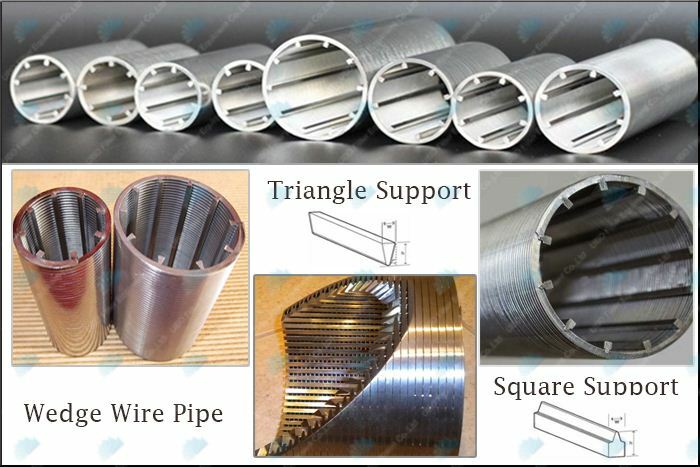 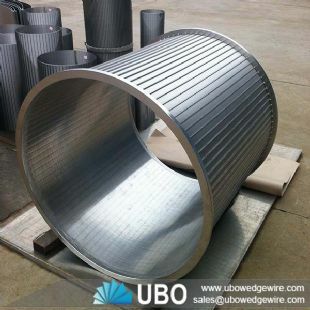 Johnson screen pipe stainless steel slot filter element is composed of ribs and V—winding wire, manufactured with advanced special welding equipment.Ribs and V—winding wire are connected with resistance weld by special equipment and has the advantages, such as, high welding strength, homogeneous gap, corrosion resistance, large effective filtration area, good permeability,simple structure, and slot size is 20 micron or larger for users to choose freely. 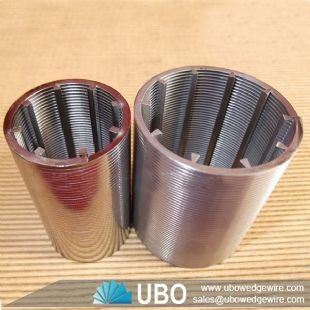 *Non-clogging: the continuous slot formed by the V-shaped surface wires ensures a two-point contact between the particles and the slot, which minimizes clogging. 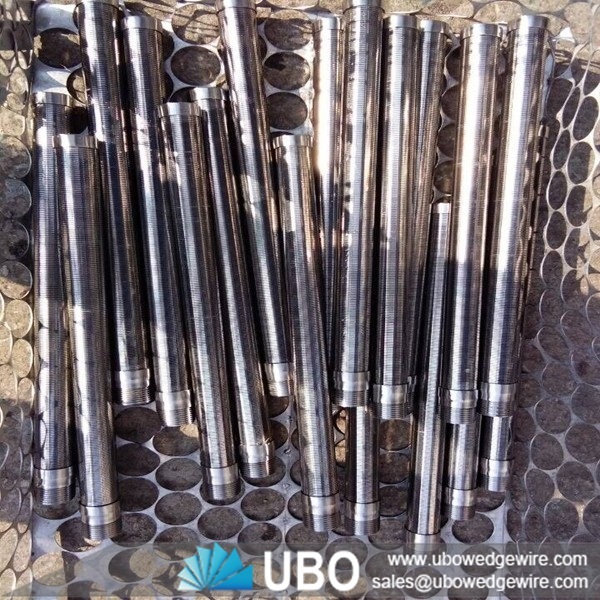 *High-precision slot sizes: precise slot sizes are available to meet customer´s requirements. 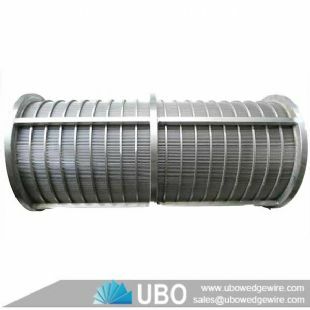 * Surface filtration: the V-shaped surface wires allow easy cleaning by mechanical scraping or back flushing. 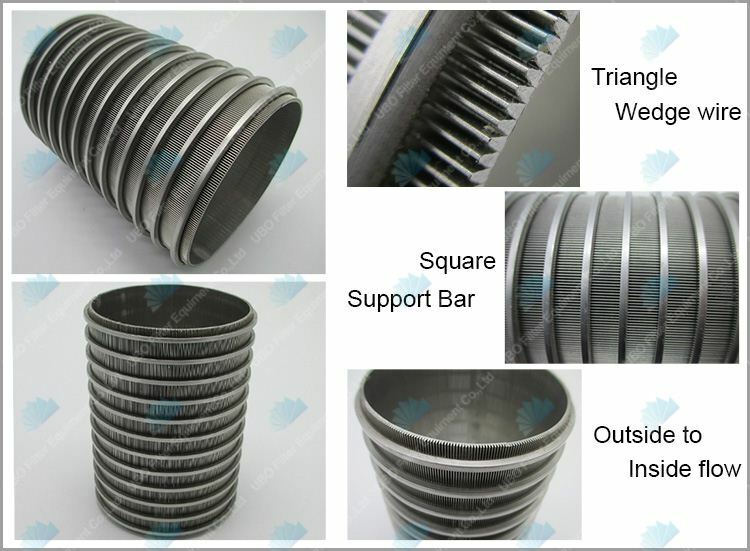 * Strong construction: for most applications, the wedge wire screen is self-supporting, because of the welding at each intersection. 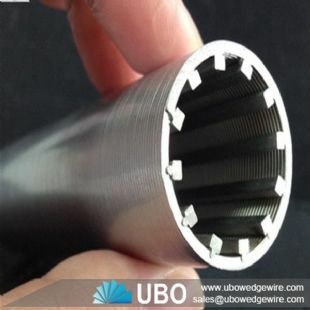 *High efficiency: continuous slot opening. 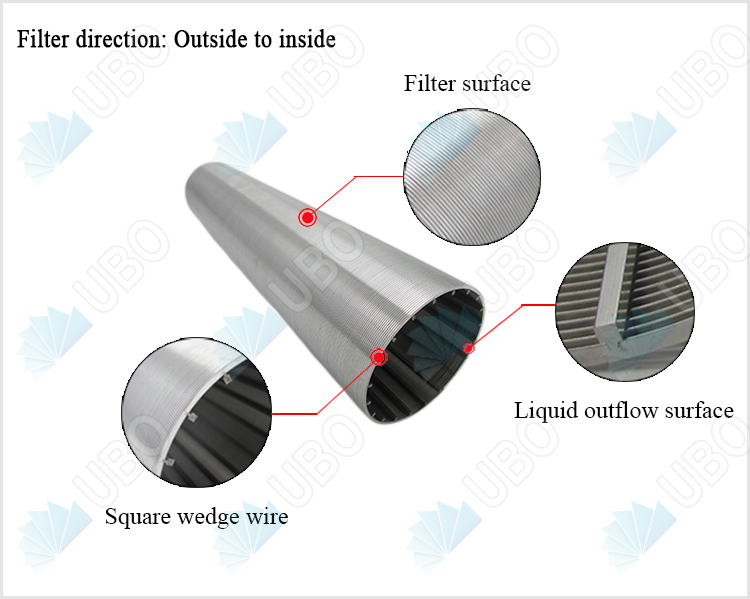 * Large flow rate: “v” shaped profile wire ensures a uninterrupted flow.